“Chris’s favourite saying was “other people matter‘ … that is how he lived his life” – Martin Seligman at Christopher Peterson Memorial. Christopher Peterson was one of the founding fathers of positive psychology and was a well-respected professor of psychology at the University of Michigan. Peterson is one of the top 100 most cited psychologists in last 30 years. Peterson was a member of the Positive Psychology Steering Committee, a consulting editor of the Journal of Positive Psychology, a member of the board of directors of the Gallup Organization Positive Psychology Institute, and the positive psychology series editor of Oxford University Press. In addition he also had a blog called ‘The Good Life: Positive psychology and what makes life worth living’ for Psychology Today. Peterson completed a doctorate emphasizing in social psychology and personality psychology from the University of Colorado. He then redirected his studies with another doctorate in clinical psychology from the University of Pennsylvania, where he also completed his post-doctoral training. In 1986, Peterson became a psychology professor at the University of Michigan, where he was well respected and became known as ‘Mother Theresa’ for his kindness. In 2010, Peterson won the Golden Apple Award, the University of Michigan’s most prestigious student nominated teaching award. Christopher Peterson is known for his research into character strengths and virtues. He co-authored, with Martin Seligman, the well-known book ‘Character Strengths and Virtues: A Handbook and Classification’. 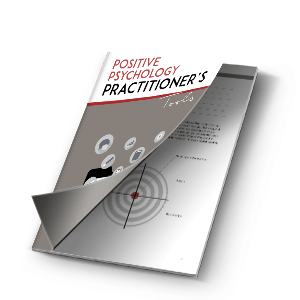 This book provides both practical answers and definitions to why strengths should be discussed within the realm of positive psychology. Peterson and Seligman used philosophical guidelines and different cultural examples of moral excellence to settle with 6 key virtues and the 24 key strengths within those virtues. The 6 categories are: wisdom, justice, temperance, courage, humanity and transcendence. You can read more about this book here. One of Peterson’s most ambitious undertakings, within positive psychology, was the Virtues in Action (VIA) project, producing the well known VIA survey of signature strengths. This project allows you to discover your character strengths in order to further utilise them to your potential, and was fashioned in accordance with empirical research. You can benefit directly from Peterson’s pursuits, as he established the VIA website, allowing you to take a free survey to discover your character strengths. From there on you can chose to enrol in specially tailored courses or purchase a report detailing tips on how to utilise your strengths, or merely research these qualities further. 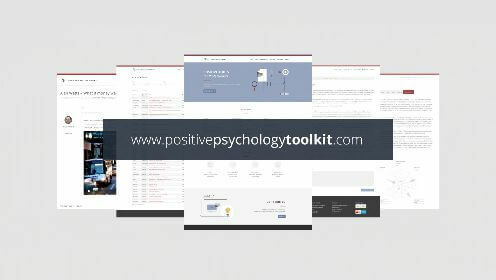 Additionally, the website also has a section for professionals, enabling you to implement these positive techniques into the workplace or cultivate your leadership skills further. – Christopher Peterson’s final two sentences from his last column, ‘Awesome: E Pluribus Unum‘, published four days before his death. 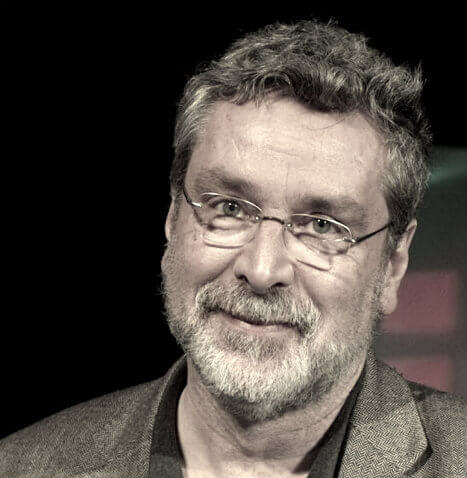 Audio 1: Unscripted interview by Ben Dean with Chris Peterson about his life outside the academic context – Listen here. Audio 2: In-depth interview by Ben Dean with Chris Peterson about his research – Listen here. Peterson, C. (2012). Pursuing the good life: 100 reflections on positive psychology. Oxford University Press. Peterson, C. (2006). A primer in positive psychology. Oxford University Press. Peterson, C., & Seligman, M. E. (2004). Character strengths and virtues: A handbook and classification. Oxford University Press. Peterson, C. (1997). Psychology: A biopsychosocial approach. Longman Publishing Group. Peterson, C., Maier, S. F., & Seligman, M. E. (1995). Learned helplessness: A theory for the age of personal control. Oxford University Press. Peterson, C., & Bossio, L. M. (1991). Health and optimism. Free Press. Dean, B. (2006). Chris Peterson | Coaching Toward Happiness. From here. Glatthorn, H., & Rademaker, T. (2012, October 10). University community remembers Prof. Peterson. From here. Seligman, M. (2012, November 12). Memorial. Retrieved Youtube. Wright, R. (2012, October 14). Very Nice Guy (and Important Psychologist) Dies. From here. Who is Martin Seligman and What Does He Do? Mariana Pascha hopes to use positive psychology as a way of improving lives, starting at the fundamental developmental years of life. PP has appealed to her because it deals with improving everyone’s life and takes psychology beyond mental illnesses. Get to know our whole team! I loved Dr Peterson. I was so fortunate to have him as a professor at the University of Michigan in 1987. I inevitably went on to obtain my MSW, but it was Dr Peterson’s influence that led me to under take work as a therapist utilizing both psychology and social work in my practice. 20 years later I became cetified as a spiritual life coach. Dr Peterson’s teachings have heavily influenced my life, both professionally and personally. I was so saddened when I received words he has died. At a large university like Michigan it’s easy to forget your teachers. I’ll never forget Chris Peterson..it was my honor to be his student in 1987. Oops, I wrote “Seph” and YOU, lovely, Mariana, made that comment. I appreciate it. THANK YOU, Mariana. I thank Seph and your whole team for a terrific website, too. Sigh…Chris died a few days after my Mom. I think of kind, masterfully human him and my adorable Mom together. Mariana, you captured Chris’ true essence. His video with Ben Dean, his friend, postive psychology pioneer, the founder of MentorCoach, my coach training program, was awe-inspiring. His last PT blog and his mention of death STILL makes me shake my head in wonder. Thanks ever so much!